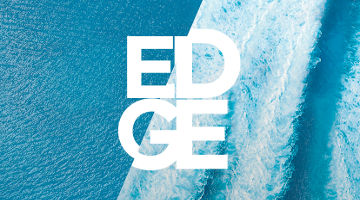 Celebrity Cruises’ latest ship – Celebrity Edge – is due to make her debut in late 2018, but in the meantime, the modern luxury cruise line has announced her Godmother: Malala Yousafzai. Malala is a well-known advocate of women’s educational rights, having begun campaigning in Pakistan as the Taliban were gaining control of her home district. Her inspirational courage and commitment has led to her winning a Nobel Prize, and being made a UN Messenger of Peace – she is the youngest person to have ever been awarded either of these prestigious accolades. Respected globally for her work, Malala has inspired women everywhere to fight for their education, and has set up a number of programs designed to support, protect, and fund just this. Malala has entered into a two year partnership with Celebrity Cruises, who have said they are proud to be working with such an exceptional individual. They are keen to build on their already firm commitment to equality with Malala’s motivation and influence to support them.